However, sometimes you need to disable a user’s account without deleting it because deleting the account would remove all their files, apps, and personalized settings. Disabling an account removes the account’s icon from the sign-in screen and from the menu to switch users. This lets you re-enable the account later on without losing any of their data. Here’s how you can enable or disable a user account in Windows 10. Note: This article is intended mostly for people using Windows 10 in their homes or small businesses. 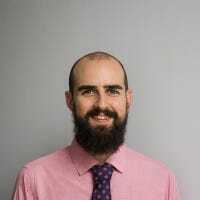 If you’re using Windows 10 in a larger business, you likely won’t have multiple local user accounts set up on a system and these tools will probably be disabled anyway. 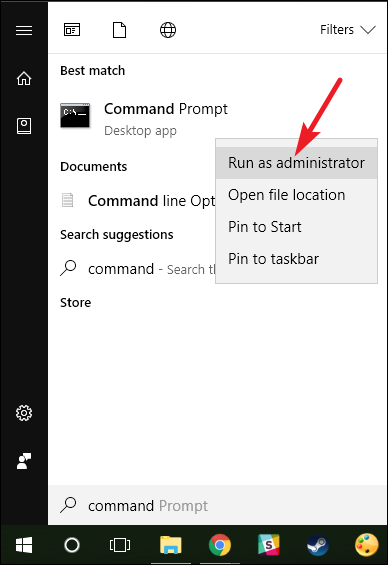 No matter which edition of Windows 10 you’re using (Home, Pro, or even Enterprise), you can use a quick command at the Command Prompt to enable or disable a local user account. 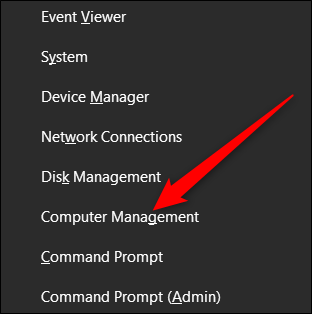 While there is a graphical way to do this for Windows 10 Pro users (which we’ll cover in the next section), the Command Prompt is available to all and very quick. After the command has completed, you can close Command Prompt. The user account will be disabled and will no longer show up as an active account for signing in. You can repeat the same process for any other accounts you want to disable. Note: If you don’t know the exact name of the account, type in the command net user to get a full list of all users. 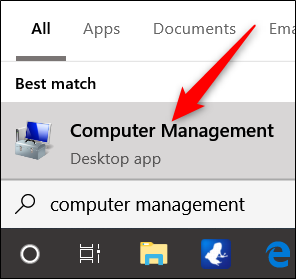 Alternatively, you can press Windows+X and then select “Computer Management” from the Power Users menu. 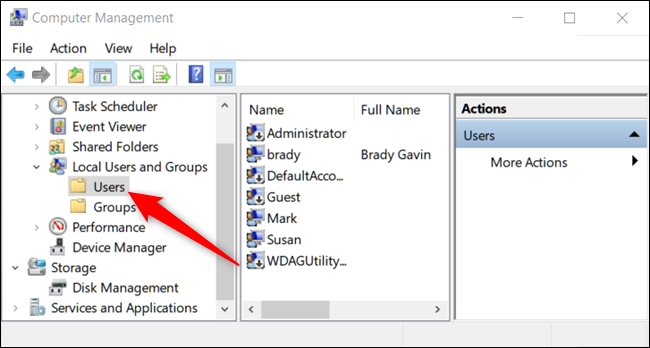 In the Computer Management window, navigate to System Tools > Local Users and Groups > Users. On the right, you’ll see a list of all the user accounts on your system. 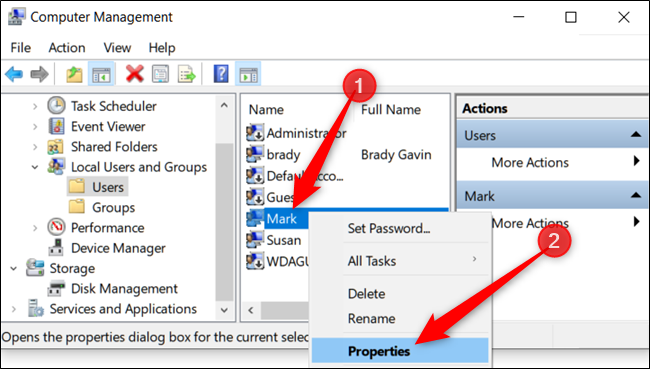 In the Properties window that opens, select the “Account is Disabled” checkbox and then click “OK” to save the changes. Repeat the previous steps for any other user accounts you want to disable. Afterward, you can close Computer Management, and the disabled accounts will no longer show up on any sign-in screens. 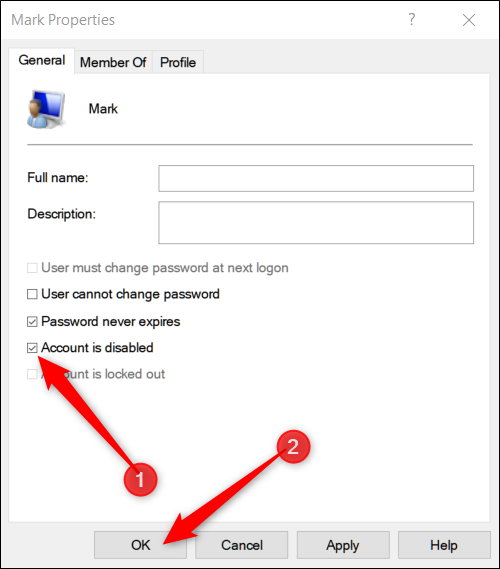 To re-enable a user account, back to the Properties window for that account and cleat the “Account is Disabled” checkbox.